Tony Hwang, who is running for re-election in the 28th Senate District said he has never supported Trump. 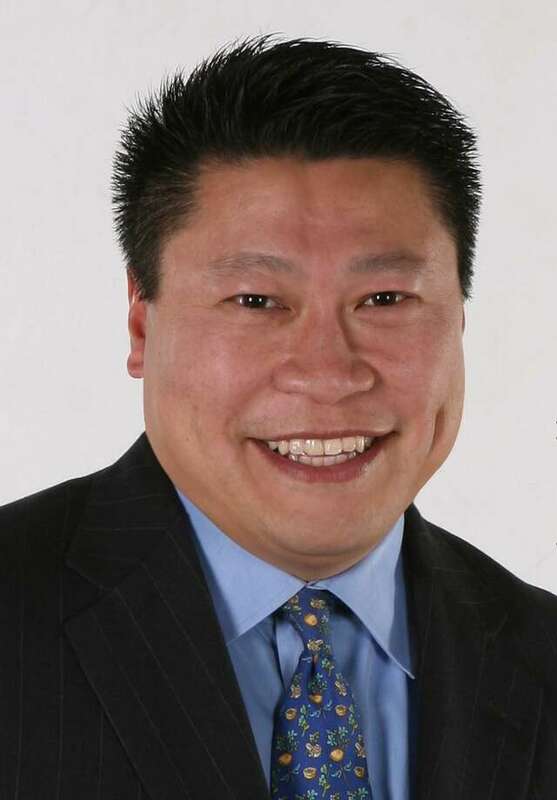 FAIRFIELD — Republican state Sen. Tony Hwang sees the state budget as his first concern if he is reelected this November, in line with his party’s platform in Connecticut. Hwang is hoping for a second term as the 28th District’s state senator. The district includes voters in Fairfield, Newtown, Easton, Westport and Weston. Previously a Representative Town Meeting member, Hwang first ran for and won state office in 2008 as a state representative of the 134th district. “Beyond my family and the opportunity to be an American, it is one of the greatest privileges and honors that I have to be a part of my community to be able to be a voice and to be identified as somebody that is out there working for them and recognizing all the great things that occur in our community,” he said. Hwang said he would first address the state budget if reelected with a goal of making “hard and necessary” decisions to set the state on a better path. He called the statewide and community tax burden too high and said Democratic spending has not been done a respectful, transparent manner. GOP legislators spoke of Democratic one-party rule causing significant economic problems when they unveiled the party’s platform at the Capitol in September. Hwang said he believes in a common-sense form of government abiding by principles of predictability, sustainability and transparency. Hwang highlighted bipartisan work, including on environmental, school safety and domestic violence legislation. He also noted work to arm first responders with naloxone, a drug that can save someone overdosing on narcotics, and offer relief for firefighters missing work while in treatment for cancer caused on the job. He said he has the experience to work together with other senators to address economic problems. Hwang named the budget as what he believes should be the Legislature’s first and foremost concern, calling on the post-election Legislature to meet within the first hundred days. On what separates him from his opponent, Hwang said he applauds anyone in public service. “At the same time I do believe that my record of true accomplishments in the legislature, true bipartisan and effective solutions to problems are needed more than ever,” he said. Hwang’s parents escaped from communist China as teenagers and moved to Taiwan. With educational opportunities in Taiwan lacking, Hwang’s father chose to come to the U.S. and his family followed nearly seven years later. Reunited, they lived in a federal housing project before later moving to Syracuse. “Those were the most wonderful days because we were together as a family, we were in America,” Hwang said. He cited his gratitude for living in the U.S. and for his parents’ journey as preparing and driving him to serve as state senator. Hwang said he felt a duty to give back to the community after participating in Upward Bound and attending Cornell University. His daughter is a recent college graduate, while Hwang’s son is still in high school. Hwang, his wife and children live in Fairfield. As Election Day approaches, Hwang said he is “struggling” over his presidential vote. Unlike the majority of local Republicans in office, he has commented on GOP nominee Donald Trump’s statements. Hwang will not be voting for Democratic nominee Hillary Clinton. He said he is “equally disappointed” with both the Democratic and Republican candidates and was an early supporter of Ohio Gov. John Kasich. The Connecticut Business & Industry Association, Connecticut League of Conservation Voters, Connecticut Realtors, Association of Retired Teachers of Connecticut and National Federal of Independent Business have endorsed Hwang.